Coconut’s scientific name is Cocos nucifera. The coconut palm is highly valued by traditional cultures as a source of medicine and food that it is called “The Tree of Life”. Coconut oil naturally is a refined product. The oil is extracted from the kernel or meat of mature coconuts harvested from the coconut palm. You can consume coconut oil inside the meat from a fresh coconut just picked off the tree. 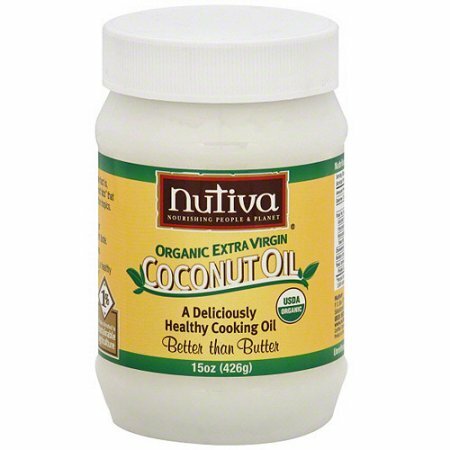 The term used for the least refined coconut oils is “virgin coconut oil”. Coconut has a nourishing and moisturizing oil which we know as coconut oil. The high fat content has proven to help improve many skin conditions by healing wounds, reducing rashes and preventing acne. Its anti-inflammatory effect works wonders for soothing and smoothing skin ailments. In the Winter, I often have dry scalp and dry hair. I use the coconut oil rub into my hair at night and scalp before bed. I wear a baseball cap or shower cap to keep it on my head. It heals my dry flaky scalp. If the coconut oil is solidified, you can gently heat it on skillet on low heat, before application, wait for it too cool a little so you don’t burn yourself. Coconut oil absorbs quickly which leaves silky smooth, hydrated and glowing skin. Apply a small amount to your face every morning and night as moisturizer after washing your face. It works wonders for the whole body as moisturizer, so use it for your body as lotion, hair, feet, or even as a massage oil. It will leave your skin hydrated and soft. Its natural antioxidant make it great for stopping wrinkles and skin irritation. 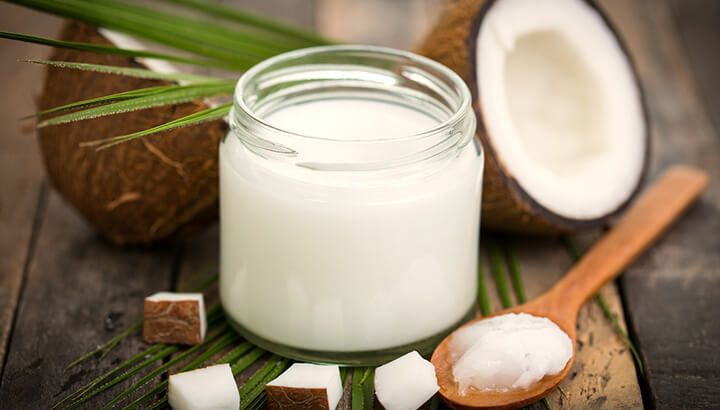 Coconut oil’s concentration of beneficial fats in coconut oil makes it helpful for digestion and its antimicrobial properties can help fight irritation and infection in the gut from Candida. Studies shows coconut oil can help boost metabolism. It travels directly to the liver. It is used for energy and not stored as fat. It also helps a feeling of satiety and can assist in weight loss. Coconut oil has high lauric acid content that can help lower cholesterol and blood pressure. It also contains specific fats that support the body’s natural hormone production. It is also beneficial for immune support. It can help fight flu due to its antibacterial, antiviral and antimicrobial properties. It can increase bone strength allowing better absorption of calcium, vitamin D and other minerals. A great fat for cooking because it doesn’t break down easily at high temperatures like other oils. It doesn’t go rancid easily and it has great nutritional properties. It’s great for cooking, frying, baking goods and any type of cooking use. I cook my eggs in coconut oil frequently and it taste wonderful. Combined with a nonstick pan cleanup is easy. It doesn’t burn like other oil at high temps. All you must do after cooking while the pan is still warm, wipe it down with paper towel good as new. Purchase the best quality coconut oil you can find and make sure to choose virgin coconut oil that has a coconut aroma. Coconut oils are available in grocery stores or can also be purchased online. Personally I like the Nutiva brand, smells great. I tried whole foods brand, didn't really smell so great. I find it calms my skin down when I get irritations.